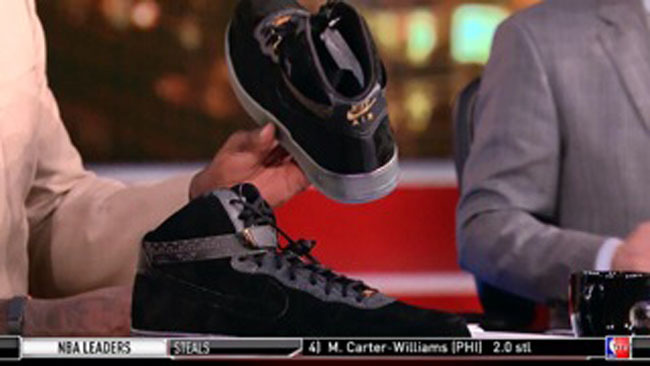 Last night on Inside the NBA, Shaq recieved a special gift. 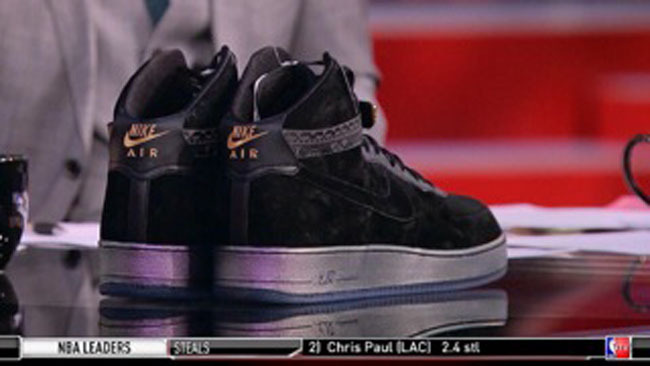 Last night on Inside the NBA, Shaq recieved a special gift from Nike's VP and General Manager of North America Basketball, Michael Jackson. 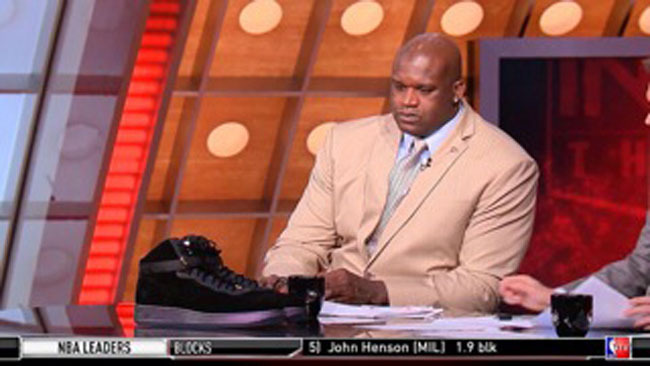 According to the TNT crew, they for supposed to be for Black History Month, but due to the size of Shaq's feet, "they toom em a while to make these things." 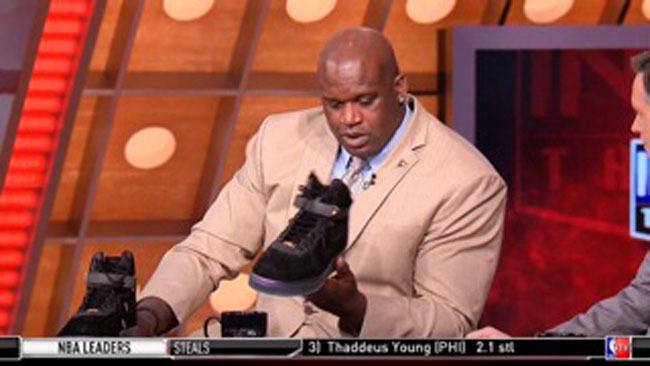 Shaq was thankful for the gift, but was quick to note that his own shoe is "the #1 shoe sold." While that's not true by any metrics, he does make the claim on a weekly basis. What do you think of these black suede AF1 highs? Would you be interested in a pair if they were to release?